NOTE: Over the past several months, we've had lots of combox discussion about how Catholics read and interpret the Bible. To help us all make sense of this question, we began a multi-part series on the topic. Once a week, for the next several weeks, Mark Shea will unpack how Catholics authentically read the Bible. He began with a general introduction, then he outlined three specific guidelines. Today he'll begin covering the three main spiritual senses (or lenses) through which Catholics interpret the Bible—allegorical, moral, and anagogical. We noted last week that one of the principal problems of trying to treat Scripture as a purely human book is that, though God can supernaturalize nature, we cannot naturalize the supernatural. God can assume a human nature and join it to His divinity. But we cannot take a supernatural thing and reduce it to mere nature without doing it violence. We cannot reduce Jesus to a mere man, nor man to a mere animal, nor the Bible to a mere book without making incongruous claims. Proof of this abounds. If we will not receive Scripture on its terms as the word of God, we wind up with a book that is not even human, but merely a patchwork of “sources” stitched together into something unreadable and inhuman. Similarly, natural explanations for the various miracles in Scripture must suppose that all early Christians were preternatural fools. For example, somebody theorizes that Jesus walked on ice sheets, not water, yet he doesn't wonder how professional fishermen who knew the lake like the back of their hand could not figure out that it was that cold (nor why Peter, who also walked on water, didn’t figure it out). Someone else claims that the Resurrection myth is due to ignorant women going to the wrong tomb, but nobody bothers to ask why the people who buried Jesus (or the authorities who persecuted the Church) didn’t just go to the right tomb and produce the corpse. Finally, somebody else argues that Jesus never existed, yet nobody asks why these hundreds of people ran around the first-century world dying for the testimony that they knew Him personally and why thousands and thousands more, including a lot of martyrs, never thought to question that? I propose, therefore, taking Scripture on its terms: as the word of God. If we do this, Scripture not only makes sense as a divine book, but as a human one. Jesus no longer has to be accounted for by some Latest Real Jesus explanation. He can be the same old Jesus: the Son of God that the actual data always pointed to. Now one of these early Christians—a gentleman named Augustine of Hippo—tells us something curious about the Bible. He says that the New Testament is hidden in the Old and the Old Testament is only fully revealed in the New. This strikes most moderns as a comment about the bizarre working of Augustine’s psychology, not as a comment about the Bible. That’s because when most of us read the Old Testament with all its battles, strange tales, thundering threats, lyrical poetry, and weird instructions for separating the fat from the kidneys of a goat, we don’t immediately see Jesus of Nazareth as particularly being on the minds of the authors. We tend to assume that Augustine is one of those Dark Ages monks who had too much time on his hands and so began to treat the Old Testament as a sort of Rorschach blot in which he imagined he saw Jesus lurking in the Old Testament the way Percival Lowell thought he saw canals on Mars. But, of course, by “now” we mean “in an age more biblically and historically illiterate than almost any other." In short, Augustine and those Dark Age monks got the notion that the Old Testament was about Jesus—from Jesus. He’s the one who put it into the heads of his followers that everything written in the Old Testament was about Him. Not that they immediately believed that. It turns out they were human beings and not cartoons of preternatural gullibility. So they initially found the suggestion that everything in their most sacred books was about Him to be as plausible as you would think it if I told you that I am the True Meaning of the Torah. In fact, so slow were they to believe this that even when they stood in the very mouth of the empty tomb, gawking at Jesus’ grave clothes, they still “did not know the scripture, that he must rise from the dead” (John 20:9). So, far from being credulous fools who believed anything, they were rather slow on the uptake—so slow, that Bible studies personally led by the Risen Christ were kind of a bust due to the thickness of the disciples’ skulls (cf. Luke 24:13-32). The literal sense of the story of Moses’ veiled face is recounted in Exodus 34:29-35, which tells how Moses wore a veil over his radiant face after speaking with God at Sinai. Paul takes the literal sense of this story for granted—and then insists, just as Jesus does, that there is more to this story than meets the eye: that it, in fact, points to the spiritual blindness caused by a hardened heart apart from the Spirit. This way of reading Scripture for second meanings is all over the place in the New Testament for a very good reason: it is all over the place in the teaching of Christ. Jesus habitually takes images from the Old Testament and applies them to Himself. According to Jesus, the real meaning of the Bronze Serpent, Jacob’s Ladder, the Manna in the Wilderness, the Passover, Hanukkah, the Feast of Booths, and a host of other Old Testament images, stories, and allusions is none other than—Him! It’s like He thinks He’s God or something! Now the Catholic explanation for this is fairly straightforward: He is God. So it follows that the Word of God is His word and those images, stories and allusions aren’t there by accident, but because the divine Author is at least as competent a craftsman as Hemingway, Tolkien, or Shakespeare. He makes use of foreshadowing so that the richness of what He has to say will be available to us in its fulness. The Lamb that Moses is commanded to sacrifice by God at the first Passover is intended by God to foreshadow the Lamb of God Who will be sacrificed on Calvary at the Last Passover. The Tree of Life lost by the First Adam is not merely a coincidental reminder of the Tree of Life upon which the Last Adam hung. It’s not just a lucky break that Isaiah wrote about the Messiah as a man of sorrows and acquainted with grief, or that the manna in the wilderness is reminiscent of the Eucharist. The New Testament really is hidden in the Old and the Old Testament is really looking forward to the New, because that’s what the Author of Scripture intended. These instructions continue to hold for Catholics. If an allegorical reading is used in Scripture, (as, for instance, when the sacred author allegorizes the meaning of the Old Testament Tabernacle in Hebrews 9) you can rely on it since the Author knows what He’s doing. Likewise, if the Church connects the allegorical dots in the liturgy, or if a bunch of the early Church Fathers are all seeing the same connections (“Hey! The Ark of the Covenant is a foreshadow of Mary!”), then you are on safe ground. Originally posted at Catholic Exchange. Used with author's permission. If the Bible had described Jehoiachin as picking his teeth at dinner in Babylon, then no doubt Ambrose or some such would have interpreted the toothpick as foreshadowing the cross. The Tree of Life lost by the First Adam is not merely a coincidental reminder of the Tree of Life upon which the Last Adam hung. The reason it's not a coincidence is that there's nothing to coincide. This kind of "connection" is so weak that rather than bringing us into the fold it makes us (or me, at least) even more skeptical of alleged "foreshadowings." You're not supposed to deduce a foreshadowing as a piece of independent evidence for the truth of the events of Jesus' life. Rather, when trying to understand the cross, you're supposed to look back at the things in the Old Testament as informing its meaning. You guys are right if you think that Shea or the Catholic Church in general is trying to present the Old Testament as independent bits of evidence designed to convince you that the events of Jesus' life were, in fact, significant. Catholics already believe they were significant. They read the OT to try to work out their significance in light of the revelation that God was giving the Jews. (1) Catholics believe - by faith - that Jesus was the Christ, whose work on earth was the final culmination of God's salvific work. (2) Catholics also believe - by faith - that God was preparing the Jews, in their culture and language and religious practice, to recognize Christ when he came. Therefore, Catholics read the Bible with an eye to discovering a connection they already believe is there. They do, in fact, think it hangs together, but they're not trying to prove to a non-believer's satisfaction that it does. This is probably why the early Christians didn't shove the Scriptures in the faces of the unbelieving Romans. In fact, IIRC, they tended to prohibit you from hearing and studying scriptures until you were already committed enough to be attending regular liturgies. Therefore, Catholics read the Bible with an eye to discovering a connectionthey already believe is there. And this "coincidental reminder" is such an extraordinarily feeble connection that, as I said above, it makes me all the more skeptical because it looks like Shea's wishful thinking has overshadowed his reason. Shea's faith isn't based merely on this, any more than a scientist's acceptance of any complex theory is based merely on one bit of evidence. That's not at all my point. I'm not addressing whether he's using this alleged connection as basis for his faith. My point is that seeing this as a connection at all is so far-fetched that I don't trust his judgment on the topic as a result. Ah. Well, I hesitate to try and lay out a case because I suspect I'd do it badly, but it doesn't seem to me too far-fetched that God would try to communicate to mankind the whole truth about what it meant to be fully human, and that at first the people he chose to communicate this to would very much misunderstand the message. It would, over the centuries, become clearer and clearer, but of course some concepts - like the Messiah, for instance - would remain very mixed up with desires for political freedom such that many people's picture of the Messiah would be significantly different from what God was really doing and so it wouldn't be as perfectly recognizable as we would like. To those who actually lived with Jesus, however, it would become apparent that this was the one God was telling them about but that his mission was significantly different from what they were expecting (freedom from Rome, etc). Once they had reflected on his work and teachings, however, they would sit down and write stuff like the Gospel and the letters of John. Jon, I'm referring to one very specific connection that Shea alleges in his article. Oh, sorry to misunderstand. I guess I don't find that parallel so tenuous. There's something very striking and poetic about the cross - an instrument of torture and death - being, ironically, a Tree of Life, and that if we eat of the "fruit" of that tree (Christ's body), we live forever. I sure as heck wouldn't use the strikingness of the parallel to absolutely prove that Jesus was the fulfillment of that OT story, but I wouldn't hesitate to draw that parallel in order to further a believer's understanding, or to help an atheist see what we find so beautiful about that story. Kind of like how Scientologists don't mention Xenu until you've invested some serious cash. Now. Through most of the history of your Church,you tended to kill people for that. What are you talking about? Christians have always been perfect angels who have never in any way committed or excused any injustice ever. True, it's suggested donations and family guilt now instead of tithing and public executions. :) Thank God for secular progress! You're not supposed to deduce a foreshadowing as a piece of independent evidence for the truth of the events of Jesus' life. But make no mistake about it, the New Testament is an incredible demonstration of the power of prophecy and confirmation that the Bible is divinely inspired! The New Testament contains prophecy about the days that are still ahead of us, but perhaps even more powerful than this, it contains the FULFILLED prophecy of the Messiah; predicted over and over again in the Old Testament, realized and recognized in New Testament times in the person of Jesus Christ! These fulfilled Messianic Prophecies are perhaps the most powerful and amazing prophetic evidence in the scriptures . . . If you mean that we are not supposed to be more convinced that Jesus rode into Jerusalem on a donkey because there was a "prophecy" of it than we would be if the Gospels merely said that Jesus rode into Jerusalem on a donkey, I agree with you. But (as I think the above passage demonstrates), I think Christians first of all claim it is proof that the Bible is a supernatural document because it contains predictions of the future that come true (not, by the way, what prophecy really was), and also Christians claim that the predictions prove that Jesus is the Messiah, because prophecies were made about the Messiah (which isn't actually true) and those things happened to Jesus, consequently it proves Jesus is the Messiah. In truth, as I repeat over and over, the Old Testament predicts nothing about the Messiah, since the concept didn't develop until after Old Testament times. David, I think Jon W's point was precisely that this logic: "Christians claim that the predictions prove that Jesus is the Messiah" is NOT significantly in play in Catholic thought. IF Jesus Christ is risen, THEN He is the fulfillment of every longing that was ever expressed in the Old Testament, and for that matter He is the fulfillment of every longing that was ever expressed anywhere, even to this day. I don't expect everyone to accept the antecedent part of that conditional statement, but the logical connective itself is almost tautologically true for anyone who grasps the significance of the resurrection. Of course. First you believe, then you get to see the evidence. This is why the Catholic Church used to burn people alive for translating the Bible into the vernacular. I'm not defending burning heretics, but I do know that that's not why they did it. I think it's more accurate to say that's not the entire reason they did it. The Church prescribed that printing or possessing un-authorized translations of the Bible constituted heresy. Heresy was viewed as a crime against the state. If convicted of heresy by the Church, the state executed such people. In the end, you were killed for printing or owning such Bibles. The point is that it wasn't just a restriction of information for some political purpose. Rather, punishing people for translating the Bible without permission was primarily (though not solely) an unjust reaction to the truth that you can't interpret the Bible correctly outside of the ecclesiastical context, which is the whole point of this conversation. "I think it's more accurate to say that's not the entire reason they did it." "The point is that it wasn't just a restriction of information for some political purpose." I think we're close to speaking the same language (no tenuous pun intended). You may "know" that, but even so it is factually false. Thomas More, now a Catholic saint, burned people at the stake, including Tyndale, for the crime/sin of possessing a Bible in English or performing the Mass in English. What you are saying does not contradict what I am saying. There may be two different motivations for the same action. What you are saying does not contradict what I am saying. There are two things going on. The first is whether it is a heretical act to interpret the Scripture outside of the ecclesiastical context. The second is whether heretical acts like these present such a grave challenge to the order of the community that we can justify executing those who engage in them. I'm merely pointing out that the burning of the heretic was not because of his wrong-thinking per se, but because it was believed that his wrong-thinking was a significant danger to public order. Is this not a distinction with no difference? I don't think so, because one could deny the second without denying the first. And one could hold a person up for admiration for his recognition of the first principle while repudiating his advocacy of the second. I should have been more specific, I was referring to your second, concluding paragraph. My chief concern in this particular thread is to reply to the implication of MichaelNewsham that there was something of trickery or a con about the Catholic Church's position that expressed itself in violence against those who sought to know a truth that the church was hiding. The church wasn't hiding anything in the Middle Ages. The prohibition against translating scriptures without the oversight of the church had nothing to do with secrecy. I think the most you could argue is that secrecy/power/politics was not the *only* reason the Church had to suppress the distribution of the Bible in the vernacular. You've admitted as much earlier: "The point is that it wasn't just a restriction of information for some political purpose." The heresy of attempting to translate the scriptures without the oversight of the church is the only theoretical - that is to say: justifiable - reason. I have no doubt that real, legitimate principles were used by wicked men to achieve their own ends, good or otherwise, that involved secrecy and power politics. People misuse otherwise good laws in business and government to do this kind of thing today. That fact, however, does not invalidate those laws, or implicate the original lawmakers. church had nothing to do with secrecy. Sorry,I'm afraid I'm unable to understand the distinction you are making. The Church blocked the translation of the Bible because the Church wished to control the interpretation thereof. It feared that if people read the words of Holy Scripture for themselves then the power of the Church would be lessened. That was the power the Church had over believers- it controlled the meaning of the teachings,and it feared that if people began to read the Bile for themselves they would begin to question the authority of the Catholic Church- which is exactly what happened. But it wasn't about "bad people misinterpreting the rules" - it was about the Catholic Church making rules to monopolise the control of people's religious beliefs. There was no misinterpretation involved- what happened was exactly what the Church wanted to happen- people who questioned the Church's authority to interpret Scripture were put to death. Argh. This is like watching creationists troll a biologist's Evolution blog. The evolutionists keep trying to make subtle distinctions, and the creationists just keep ignoring them and making the same obtuse assertions based on a preconceived narrative. (1) I am not denying that the doctrines of the church were abused by those in power. That's a given. (2) In order to abuse a doctrine, you have to have a doctrine to appeal to. All evil is committed in the name of some good. (3) The good of ecclesiastical oversight of Biblical interpretation is independent of its value for social control. It always has been and always will be. You guys seem to think that all power is inevitably and inherently exercised for the good of those in power, that such is the purpose of power per se. That's just not true. power per se. That's just not true. Nevertheless, I think the modern view (which I take to be more nearly correct than the views that preceded it), is, "Power tends to corrupt, and absolute power corrupts absolutely. . . . There is no worse heresy than that the office sanctifies the holder of it." 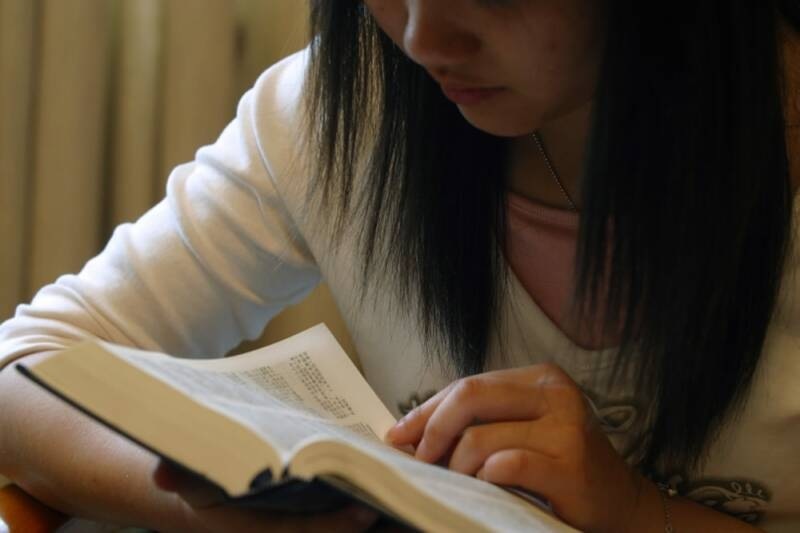 It is very difficult for us, today, to justify the use of power to keep the Bible from being translated into the vernacular, or to use force to prevent someone reading a Bible translation or anything else. We may judge less harshly those who tried to do such things in the past because we must always judge people in part by what was understood in the era in which they lived. But to say that burning heretics was not wrong for the people who did it because they were products of their time is just moral relativism. So I don't necessarily see any problem in imputing bad motives (pride, elitism, love of power, wish to control those of lower status) to Church authorities who tried to prevent the translation of the Bible or who prosecuted people for translating or reading it in their own language. "There is no worse heresy than that the office sanctifies the holder of it." It seems to me that freedom of thought and freedom of religion are values that were forced on the Church from the outside and which the Church has adopted and endorsed somewhat tentatively. One can partly understand why an organization that believes it is the sole and infallible possessor of Truth thinks it is doing what is best to impose its views on those who do not agree with it. But of course it is difficult to believe that a Church which teaches that God permits all kinds of horrors in order to allow people free will should take it upon itself to abridge human freedoms for the ends it deems best. If God granted free will, who is the Church to take it away? Which is why I didn't say it. I don't either. In fact, I fully acknowledge it. That doesn't mean the reason for the rule is itself incorrect. A professor may be denied tenure because of jealousy, vindictiveness, etc. That doesn't invalidate the institution of tenure or the practice of a committee to oversee it. It doesn't even have any bearing on whether he or she ought to be denied tenure. Everyone in the universe endorses these things somewhat tentatively. Otherwise, Ben Stein's stupid Expelled movie would be making a good point. But, as one of you guys have said on this very blog, scientists have the right to decide what is science and what is not. They have a responsibility to deny ID adherents tenured positions at prestigious universities. The question is not whether humans have the right to abridge others' freedoms. Obviously, we do, or there is no government and no education. The question is, which freedoms do those in power have the responsibility to abridge and to what extent? The arguments of the last 300 years on this topic are not arguments of principle (or, rather, they shouldn't be), but rather arguments of practicality and the ultimate goals of human discourse and society. I have no problem acknowledging that the church in the middle ages was too heavy-handed in its use of power. (Although, I suspect our conception of the heaviness of that hand is seriously skewed by our post-Enlightenment educational narratives. As an Evangelical Protestant, I grew up learning "facts" about the Catholic Church and about evolutionary biology that turned out to be ... not exactly false, but seriously misunderstood and taken out of context.) The church has repented her use of that kind of worldly power. But that doesn't mean that she has declared her scriptures to be "public" texts, or that she is going to abandon her mission if given the kind of "evidence" that atheists or agnostics usually present her with. In this series I have focused my comments on one particular claim: that proper interpretation of the bible requires recognizing it is a unified whole ("organic unity" is the phrase Mr. Shea used, I believe), and that the old testament must be viewed as consistent with and a harbinger of the new testament--that it should be interpreted in lgiht fo the new testament. I am still bewildered as to why Mr. Shea thinks an atheist should see this as a rational starting assumption, and not something that has to be demonstrated through textual analysis and historical context. Especially when this view is not obvious from the text or historical context itself. Mr. Shea is right that when a "modern" like myself (who happens to have been raised in a Jewish household) looks at the old testament, I don't see Jesus, or a religion or conception of God that is in any way consistent with the new testament. As I've said before, I find it highly plausible that the writers of the new testament wanted their work to be seen as a continuation or capstone to the old testament, and this idea seems to be reflected in the verse Mr. Shea has quoted in which Jesus says he is the fulfillment of the old testament. But that doesn't mean that the writers of the new testament were correct or succeeded in this goal, or that this statement attributed to Jesus is a correct interpretation of the old testament. I am still bewildered as to why Mr. Shea thinks an atheist should see this as a rational starting assumption, and not something that has to be demonstrated through textual analysis and historical context. Because the truth God is trying to communicate to you is something you couldn't know otherwise. I often present my students with a problem that involves two seemingly-unrelated things, and tell them, "These two things are related." At first they're puzzled, but they trust me, so they work at it until they figure it out. And they learn something in the process. So Catholics believe that God tells us, "These two things are related", and it's our job to figure out how they're related, and in the process we learn something. The difference between the two scenarios is that, conceivably, my students could discover the connection on their own, whereas, since the truth God is trying to communicate with the Faith is something we couldn't know on our own, our trust in God is not just an inessential convenience (like my students' trust in me as their teacher) but is rather essential to learning what we need to know. That's not demonstrable to an unbeliever, but it isn't against reason, unless you think it always irrational to trust something you don't completely understand. 'because the truth God is trying to communicate to you is something you couldn't now otherwise." Ok, but why should an atheist see this as rational starting assumption? Your answer seems to be something to the effect of "we believe the bible is a unified whole because God told us this assumption is true, and so we believe it even if it seems contrary to our own understanding." Pretend you're one of your students and see if you can work out the relationship between these two things: people being atheists, and people finding your argument less than persuasive. Yeah, I'm not trying to argue you into the faith. There's a difference between being beyond my understanding and being contrary to my understanding. Quantum mechanics is beyond my understanding at the moment, but I'm pretty sure it isn't contrary to my understanding per se. Same thing with the truths of the faith. I think the quantum mechanics comparison is a helpful one, but more for the bewildered atheist. I don't claim to understand quantum mechanics in the way that a physicist would, and this field of study has shown that my intuitive understanding of how the world works is woefully inaccurate. But quantum mechanics still represents an example of people doing experimentation and scholarship, and ultimately uncovering a greater understanding of how the world really works. What you are claiming (it seems to me) is that the real truths of the old testament cannot be uncovered in the way that the features of quantum mechanics were uncovered. There's nothing for me, as an atheist, to engage with there. From my Unlike quantum mechanics, here there is no experimental check permitted in your framework, since your faith inspired interpretations trump the existing evidence, such as the texts themselves and the historical record. I suppose you might argue that your faith is itself some sort of evidence, but then we really have nothing to talk about. [Q]uantum mechanics still represents an example of people doing experimentation and scholarship, and ultimately uncovering a greater understanding of how the world really works. In addition, even though quantum mechanics is extremely difficult to understand/envision, its predictions are verified by experiment to six sigma -- to 99.9999% accuracy, the closest correlation of prediction and experiment in any field of science. It makes claims, even though the claims seem bizarre, and then it proves them to be correct. Right. And as I said below, the primary proofs and evidence for Christianity are the teachings of Christ and the behavior of those who actually live according to them. Yes. Evidence to outsiders for the truth of Christianity does not primarily come from the relationships and predictions of the scriptures. (I suspect that tack is a holdover from the days when pretty much everyone in the West was a Christian.) Even Jesus, when asked by John the Baptist's disciples whether he really was the Christ, didn't point to OT prophecies. He said, "Go back and report to John what you have seen and heard: The blind receive sight, the lame walk, those who have leprosy are cleansed, the deaf hear, the dead are raised, and the good news is proclaimed to the poor." The experiments are the teachings of Christ and the saints who actually live by them. If you are compelled by their good works to glorify God in heaven, then that is all we can offer. If you find Catholic moral teachings and the lives of those who truly live by them repellent, then we can talk about that or - failing that - about art or science. "...since the truth God is trying to communicate with the Faith is something we couldn't know on our own, our trust in God is not just a convenience..."
Isn't this an implied admission that there is no rational way to see the truth God is trying to communicate? That is, it can't stand up on it's own, it doesn't survive rational scrutiny. Only by first accepting the belief to 'trust God' will one come to believe that the scriptures are a unified whole. Ergo, textual analysis and historical context by themselves show them not to be, or at least that it is irrational to conclude they are. Faith isn't irrational. I don't absolutely know there's no connection between the OT and the NT. It's just that without faith reason only sees a very limited connection there. That doesn't mean there can't be one, though. Jon: when you tell me that reason doesn't take you to this connection, but faith does, you're saying that what gets you there is something irrational. And while I'd rather not go around this merry-go-round one more time on this website, by pavlovian reflex I am compelled to tell you: for the word "faith" to have any meaning beyond the ordinary evidence-based trust displayed in our normal lives, "faith" must be irrational. I guess I don't understand why. Why is it against reason to commit my life to the idea that Jesus rose from the dead and that no sacrifice which I make for the sake of goodness will be wasted? Because there is insufficient evidence to warrant holding these beliefs--that's where faith comes in, the holding of a belief stronger than warranted by the evidence. How would you decide what is or is not "sufficient" evidence to call a belief rational or not? How would you decide whether there is or is not "sufficient" evidence to call a belief rational or not? I think this is an implied form of the argument that if you can't draw a bright line, you can't draw any line. We put people in mental hospitals all the time because of their irrational beliefs. Or in milder cases, we scorn them as racists or think of them as kooks. A belief in astrology, as far as I am concerned, is an excellent example of an irrational belief. I would say that the belief that a text can have one meaning that educated readers can agree on, and a second (third, fourth, etc.) meaning that only those with supernatural guidance can apprehend is not a rational belief. It also strikes me as a way to do an end-run around the principle that public revelation ended with the death of the last apostle. As long as your supernatural powers allow you to find otherwise unseen messages in any passage from the Bible, you can claim that there is an endless supply of revealed truth still to be found, made two millennia or more ago. Why is that an irrational belief? Seriously, I want reasons, not just assertion. That’s because the true meaning of the Old Testament is, says St. Paul, “veiled” and the cleverest scholar is powerless to understand what it’s all really about without divine help. It seems very simple to me. A text is a "public" thing. Its meaning should be available, in principle, to all. That is why we write things down and publish them—to preserve and communicate the ideas. To assert that a given passage from a text has one "public" meaning that is available to all, and one or more additional meanings that can only be understood by supernatural means is to "supernaturalize" the concept of text. Suppose, in response to your question ("Why is that an irrational belief?') I had said, "April is the cruellest month." You would quite justifiably say, "I don't see how that answers my question." And I would say, "I know you don't see, but it does answer your question. It just requires supernatural help to understand, and obviously you aren't getting the supernatural help." In the "real world," for rational people, there are no supernatural veils over texts and no supernatural aids to understanding them. I have an "Old Testament" (Tanakh) from the Jewish Publication Society, and in their notes they to texts like the story of Adam and Eve, they sometimes explain the significance Christian theology places on various aspects of the text. As Jews, their is no "veil" over their eyes to understanding the Christian interpretation. They just don't believe it. I also have a copy of The Jewish Annotated New Testament. I see no reason why a Jewish scholar who studies the New Testament can't understand it at least as well as anyone else. After all, Jesus and the Apostles were Jews. I don't, by the way, accept what Jimmy Akin says as an accurate and nuanced explanation of what the Catholic Church teaches. But I do think he is describing what many Catholics believe, and I do think those are irrational beliefs. I am not using "irrational" in a necessarily pejorative sense. I respect religious belief, have religious beliefs of my own, and see no problem with people having irrational beliefs of certain types. But I nevertheless maintain that it is irrational to believe the Bible is full of hidden meanings that only people with supernatural help can perceive. I'm depressed by your use of scare quotes around the word "sufficient." I'm using a standard bit of English vocabulary in a common, straightforward way. A little googling gives me the impression that some Muslims believe Muhammad split the moon in half, based on their sacred texts. Do you think that's a rational belief? If not, how did you decide there wasn't sufficient evidence for it to be one? So get to work on that and get back to me. Some things to think about while working on this puzzle : how extraordinary is the claim (i.e., how far out of the realm of commonplace, verifiable events is it); and how strong is the evidence for this claim (how likely are verifiably true things we know about to have happened if the claim is true, and how unlikely are these things to have happened if the claim is false)? The claims made about Jesus by Christians are pretty damn extraordinary, and require similarly strong evidence to be reasonably held. There is certainly SOME evidence for these claims, but not enough to consider belief in the claims rational. I used scare quotes because I constantly hear atheists and agnostics talk as though the meaning of "sufficient evidence" is obvious. Then you go on their blogs and watch them argue about something like gun control or the health insurance mandate or whether certain drugs should be illegal, and it turns out they have no clue what "sufficient" means. They go around and around and around. So I will not apologize for my use of scare quotes. "Sufficient to consider a belief rational" is a tautology. Sufficiency presumes rationality. The question is not whether the evidence for a belief is sufficient to be rational. If it's sufficient - for whatever purpose - it is by that fact rational. The question is - as far as I can tell - whether the evidence is sufficient to take a moral stand on a particular judgment, even in the face of social opposition. And social opposition itself involves popular judgment and the generally assumed understanding of what it means to live a good life. So even the judgment of sufficient evidence cannot appeal to some absolutely objective POV but must rely on the common judgment of society. I recognize you have the mass of Western culture at your back right at the moment, but you will excuse me if I find the assumptions of a society of doped-up, obsessive, capitalist consumers less than rationally compelling. The lives and the thought of people like Francis (both the medieval saint and the modern pope), Mother Teresa, Ignatius of Loyola, Socrates, John Henry Newman, Martin Luther King Jr, Thomas Aquinas, J.R.R. Tolkien (and that of many others, Christian and non-) are far more rationally compelling, especially since they are able to account for Darwin and Feynman (both of whom I admire tremendously), but Darwin and Feynman cannot account for them. Could you, or someone else, give an example of something "veiled" in the Old Testament that can only be seen with supernatural help? Isn't there an "emperor's new clothes" aspect to this? You can see something I can't, and the reason I can't see it is that it takes supernatural help to see it, and you have supernatural help, but I don't. I can't quite fathom how this works. And what of those of us who used to be believers and are now skeptics or atheists? Did we once see things that we now can't remember, or did we once see connections that we can no longer see? while you strike at their heel. She shall crush: Ipsa, the woman; so divers of the fathers read this place, conformably to the Latin: others read it ipsum, viz., the seed. The sense is the same: for it is by her seed, Jesus Christ, that the woman crushes the serpent's head. They have argued that it is not the offspring (seed) that will strike at (or crush) the serpent's head, but the woman, and they see that woman as Mary. Here we have a specific case, I think, of "veiled" content, and I confess that I think it is imagination, not supernatural guidance, that allows anyone to see Jesus and/or Mary in Genesis 3:15. You are exactly right. The church absolutely declares that faith is a gift from God and - at least for the moment - not everybody has it. I once heard of a Muslim convert who was eventually excommunicated for obstinately maintaining that the Trinity was rationally provable to anybody. I don't know anything about the state of your own heart or belief. I do think that as long as you continue to seek after what you really think is good and honestly believe to be true, God will not abandon you. "If we will not receive Scripture on its terms as the word of God, we wind up with a book that is not even human, but merely a patchwork of “sources” stitched together into something unreadable and inhuman. " On the contrary, considering the author's intent, the culture, and the intended audience for each individual book or letter included in the Bible humanises it. Shea's post comes across as extremely anti-academic. Agreed: it's a bizarre claim. Receiving, redacting, retelling, and adapting materials is a human activity that can't be isolated from the real cultures and interests of the humans engaged in it. "A patchwork of sources stitched together" sounds like an entirely human way to go about it. As for readability, that is in the eye of the beholder. I think he misrepresents his opponents pretty badly too. I mean, of all the natural theories that have been proposed to explain the empty tomb story, he doesn't really think the Wrong Tomb hypothesis is the best on offer, does he? I may as well dismiss Christian explanations of the Genesis accounts because Young Earth Creationism is as realistic as the Flat Earth theory. Guys, hyperbole is Mark Shea's MO. It's not a "bizarre claim", it's an overstated claim. You yourselves are making his point when you argue that, viewed from a purely rational point of view, the writings that make up the Catholic Scriptures do not appear to be inescapably pointing to Jesus as the Jewish Messiah. The statement that we must "receive Scripture on its terms as the word of God" sounds like something which could easily have come from the mouths of Luther or Calvin. must suppose that all early Christians were preternatural fools. This is a false dichotomy, along with the other examples presented. I propose, therefore, taking Scripture on its terms: as the word of God. I propose that Catholic apologists cease employing arguments from authority. Using them harms the larger point being made. Another one. This is not a Get My Argument Out of Jail Free Card. I saw the first two lines of your comment, mistook them as your own words, and almost down-voted you. Stanley Jaki thought that there was a natural explanation for the Fatima Miracle; did he think all those who witnessed the miracle are fools? Thoughtless statements like this in edited articles frustrate friendly dialogue. As far as I can tell, the point of these posts is that, yes, on a plain and ordinary meaning the OT seems utterly at odds with the new, but because we believe Jesus is the god of the OT, we must look to metaphor, analogy, second meanings, with faith, to reconcile them. We get it. We just lack this belief and so cannot read it this way. And the more I read and study the Bible, the less compelling this is. We further expect that the God described would be capable of clearly communicating his message without having to keep around an ancient book that has him accepting human sacrifice, condoning slavery, killing babies, ordering his followers to kill infants, asking his favourite follower to kill his child, playing a game with the devil to torture Job. And on and on. Ordinarily I find these debates about God the alleged moral monster rather unhelpful, but since Jimmy Akin says Jesus is "the one who put it into the heads of his followers that everything written in the Old Testament was about Him," I do think it is fair to ask how the command to kill all the men, women, children, and cattle of the Amalekites is "about Jesus." There is a book titled Jesus on Every Page: 10 Simple Ways to Seek and Find Christ in the Old Testament, which I know nothing about and do not intend to read, but one must ask what happens if you actually do find Jesus on every page of the Old Testament. I think that it would have been useful for Shea to link to Bk III of Augustine's De Doctrina Christiana, which is where he gives his best explanation of his allegorical theory. (start in around chapt 10 EDIT: I've removed my link: it is easy to google). It seems that this is where Shea is coming from. As the source I took this from (which I know nothing of and do not endorse, consequently I provide no link) notes, if this is how the parable is to be interpreted, the audience to whom Jesus addressed it had no way of understanding it. While today we certainly don't take the Parable of the Good Samaritan literally, as something that actually happened, we do not attempt to "allegorize" it in this manner, making the robbery victim Adam and the Good Samaritan Jesus. We look at it as a deliberately invented (but plausible) story with a lesson or moral, which answers the question, "Who is my neighbor?" So it is not clear to me what Shea is talking about when he apparently endorses allegorical interpretation. Certainly we can all agree that when a story in the Bible was originally intended as an allegory, we ought not to read it literally (like some fundamentalists). But the kind of allegorical interpretation Augustine gave to the Parable of the Good Samaritan made mincemeat out of it. I think that allegory is generally a hotdog factory: anything can go into it, but the same basic tube of meat comes out. Some hotdogs are better than others, just as some allegorical readings are better than others: but it's still just a hotdog. You allegorize almost any text, and while creativity is involved in making a through y = z, it's always z that you get. It's not as though Ambrose was ever going to make an allegorical interpretation that shocked him by revealing Arianism to be true; allegory is never surprising. Put simply, allegory is a way of making round holes accept square pegs. Allegory is a way of placing what you already know to be true into a context that will make it come alive, and not be just a proposition in a book. Make "what you already know to be true" come alive, or make the context (i.e., Old Testament) come alive? I know that an interpreter such as Augustine would wholly reject any notion that the "literal" level of the Bible should be ditched (and we should remember that allegory wasn't taken up by every interpreter in the early Church), but the allegorical reading was certainly given pride of place, and the practical result was that the "surface" of the Bible was neglected. A richness with respect to how the tenants of Christianity could be understood was developed by "discovering" them in the Old Testament, but a richness of reading the Old Testament was lost in the process. I find it downright depressing to read Patristic exegesis of the Bible in bulk, because the facility with which they transform rich texts in the Hebrew Bible into proofs for their theology is... just too much. I don't think the church would disagree with this completely. Which is why she tentatively and carefully embraces modern scholarship as a way of often recovering a richer, truer literal interpretation that can inform an even better allegorical interpretation (since, as St Thomas points out, all interpretation is founded on the literal). That said, we also have to be supremely cautious about projecting our own modern prejudices back on the text, and thus dismissing the Patristic interpretations simply because they don't make sense to us. Well, I never said they didn't make sense; what they are doing is fairly straightforward. I was once in a discussion group and heard the following story. This was way back in college, so I don't have any way of checking the story or verifying that it is true. The student found all kinds of symbolism and deep meaning in the poem. It so happened that Robert Frost himself was a guest at the gathering, and after the student finished reading his paper, Frost said, "That's all well and good, but actually what inspired the poem was that I was walking through the woods, and a crow on the branch of a hemlock tree shook down some snow that landed on my head." Now, anyone could take this poem and make an analogy of it. The crow could be God, the speaker could be the Israelites in the desert, and the snow could be manna. The crow could be a drug dealer, the hemlock tree could be death, and the snow could be cocaine. The crow could be a doctor, the tree could be the pharmaceutical industry, and the snow could be Prozac. All of those make sense. The question is, did Robert Frost have any of them in mind when he wrote the poem? Christians call Mary the Ark of the Covenant. Are we to believe that God had the Israelites build the Ark and inspired the author of Exodus to write about it, God was thinking to himself, "The Ark will serve as a vessel in which to store the stone tablets, but it has a dual purpose, since in the future I will reveal supernaturally to the Fathers of the Church that I was thinking of Mary when I had the Israelites build the Ark"? Did God arrange for the Israelites to escape from Pharaoh by walking through the parted waters of the Red Sea so that Christians could find in the Old Testament a symbol of baptism? Did God arrange for the Israelites to escape from Pharaoh by walking through the parted waters of the Red Sea so that Christians could find in the Old Testament a symbol of baptism? I would say yes. But that wasn't all he was doing. He was also rescuing an oppressed people from slavery. As for the Ark being a picture of Mary, God - for whatever reason - chose to use the natural religious habits of Ancient Near East Semites to communicate truths about himself. That's his MO. And the Ark held the Law, the Rod of priesthood, and the manna that kept the Israelites alive in the desert. All those are excellent pictures of Jesus. He is the Law - the pattern off of which we are to fashion our lives; he is the priest - the one who stands before God and before man; and he is that which sustains us among the evils and vicissitudes of this life, which often seems like a desert. Assuming that Frost exchnage is true, here's what I love about it: it suggests that the physical world itself, *apart from any human imaginings*, conveys meaning. It's not just a bunch of facts and data. Frost may have been reporting on a simple thing that actually happened, but we can safely assume that he wasn't JUST reporting. The fact that he structured his "report" as a poem suggests (to me anyway) that he sensed the conveyance of meaning, even if he himself may not have been able to articulate the underlying meaning. If you accept that interpretation of the Frost exchange, it suggests that the Author of the physical world is trying to convey meaning through the physical world (and, by extension, He conveyed meaning through the history of the Israelites). It suggests that the meaning, however inscrutable it may be to us at times, is objectively "there" and not just as a product of our imaginations. That the Messiah should suffer…: Luke is the only New Testament writer to speak explicitly of a suffering Messiah (Lk 24:26, 46; Acts 3:18; 17:3; 26:23). The idea of a suffering Messiah is not found in the Old Testament or in other Jewish literature prior to the New Testament period, although the idea is hinted at in Mk 8:31–33. See notes on Mt 26:63 and 26:67–68. In just about any decent biblical reference work, the same facts can be found. Not only is there no "prophecy" of a suffering Messiah in the Old Testament, there is no prophecy of a Messiah at all. Jewish thought about a Messiah does not date back to Old Testament times. This does not stop conventional-explanation Catholics from claiming that the Old Testament is filled with prophecies about the Messiah. Many interpreters give a "messianic" interpretation to the Servant Songs of Isaiah, especially to the Fourth Servant Song (Isa 52:13–53:12). That mode of interpretation is tendentious and problematic, because, to begin with, משיח is not found in any of the Servant Songs; nor is the verb משח used in any of them. . . .
As the Fourth Song stands in its present Deutero-Isaian context, however, "there is no room for an expected Messiah as the ruler of the age of salvation." In fact, the passage does not envisage the Servant even as a royal figure, or as a scion of David, or associate with him any political role. If the reader wonders, then, why the Fourth Servant Song has been introduced into this discussion at this point, it is simply to stress once again that there is no passage in the book of Isaiah that mentions a "Messiah" in the narrow sense, and all attempts to speak of Isaiah's "messianic prophecies" are still-born. And by the way, did Jesus really "put it into the heads of his followers that everything written in the Old Testament was about Him." Everything? I'm not sure if I count as a conventional explanation Catholic, but I learn a lot from your comments David, so don't give up! Even the most knuckle-headed of Catholics should be able to see, *by the light of his own faith*, that he is not God. I think this is the place to begin when encountering the type of intransigence you are talking about. “sources” stitched together into something unreadable and inhuman.... I propose, therefore, taking Scripture on its terms: as the word of God. I don't think one can take scripture on "its" terms, since it has no terms. It is true that, at many points, scripture purports to contain the words of God, but where does it claim to be the word of God? Isn't that, by and large, actually something that is said about scripture, outside of scripture, by the Church and by people such as Shea who assert that what some other people decided at some point was scripture, was scripture? The assertions that scripture is the word of God and that it constitutes a unitary whole would mean that the interpretations of earlier scripture by later later writers of scripture are also the word of God, and are thus God's official later interpretation of his own earlier word. However, while that is certainly convenient, as far as I know God has not actually stated that the interpretations of earlier scripture writers by later scripture writers are actually his own interpretations and thus official. That is a claim asserted about scripture, but not asserted by God. Yeah, exactly. That's why I'm not a Protestant, anymore. Since I think that there is no such thing as the supernatural, I cannot read the Bible in the way a Catholic reads the Bible. I am completely unwilling to meet Mark Shea where he is. From his article, I can tell he is unwilling to meet me where I am. Where do we meet each other? When talking together about the Bible, where is the common ground? Where should this discussion between Catholics and atheists begin? Paul, thanks for the comment. I'm sorry to see you despair over this discussion. The primary point of the series--and this site--is to help Catholic and atheists understand each other. The clearer we are about each others' views, the more fruitful our dialogue. It ensures we aren't attacking straw men or talking past each other. In this particular case, we hope to clarify how Catholics do and don't understand the Bible. This isn't to prove that Catholicism is true. It only shows that on Catholicism, the Bible is understood in a certain way, and understanding that way is crucial to intelligently engaging it. Surely this would be valuable information, even for atheists, just as knowing how Jefferson read the constitution is important, even if I don't wholly agree with him. Engaging in civil, productive discourse necessitates understanding your partner's position. What bothers me about this article is it's an explanation of how a Catholic apologist views the bible. Isn't there a robust scholarly and academic tradition in Catholicism? Perhaps we could get an article on Catholic hermeneutics? To rephrase, this article seems to be telling us a lot about Catholic eisegesis, but what I don't understand is how Catholic scholars exegete the texts. I think Mark's trying to lay down the essential ground rules. Within that, there's a whole lot of work for scholarship to do. For instance, getting a better understanding of Ancient Near East temple practices (an understanding informed significantly by modern scholarship) helped me understand what the Hebrews thought they were doing with the Solomonic temple. So far, both of us could be involved with that work. Now, of course, I as a believer would go on to apply that understanding to Christ and try to understand his identity and mission in light of the ANE temple practices. An atheist would probably not. I think any topnotch Catholic biblical scholar writing today would be rather appalled at Mark Shea's presentation. You are exactly right. It is an apologist's view, and I have a hunch that apologetics (kind of like many textbooks) lags significantly behind scholarship. In my mega-message elsewhere, I have quoted from two genuinely scholarly sources (the notes to the NAB, and Fitzmyer's book The One Who Is To Come). I make a point of quoting Catholic sources in my messages whenever I can, and frequently the sources seem to be regarded as questionable, particularly the NAB. The official Bible for the United States, sponsored by the US Conference of Catholic Bishops, is insufficiently Catholic for a great many apologists. Let's hear from a bone fide Catholic Biblical scholar—one with real credentials who publishes in mainstream biblical journals, not just an academic who teaches Bible courses at a conservative Catholic college. Catholic biblical scholarship had to be kept on a tight leash while everybody went overboard in their enthusiasm for "scientific" textual criticism, criticism that often said more about the prejudices of the critics than it did about the text itself. Once the ground rules had been established and the worst excesses of Biblical scholarship been dealt with, the church could relax the reigns a bit. Bottom line: the church was not going to let unbelieving scholarship pronounce absolute judgment on a book they didn't even believe was one book at all. That would be like chemically analyzing the Eucharist and declaring that science had "proved" it wasn't the flesh and blood of Christ. The church never made that kind of claim at all. It's not despair. Rather, it's acknowledgement about the positive aspects of the article. The article has clearly shown me something I had not realized before: that interpretation of the Bible isn't just an academic matter, but that there's certain presuppositions that go into it. Given the new understanding this article afforded me, I now wonder, where do we go from here? I can't accept Mark's starting point, and he can't accept mine. What next? A very accessible (but still scholarly, as far as I can tell) book that speaks to the "organic unity" of the Bible is "The Gifts of the Jews" by Thomas Cahill. Cahill is a Catholic, and so is perhaps predisposed to find this unity, but he doesn't start from the premise that the Bible is the word of God, or from the premise that it can only be interpreted in light of the resurrection. He just speaks to the Israelites' evolving sense of hope or promise, as documented in the Old Testament. Highly recommended. We can do a lot of scholarship together on individual parts. We can talk about the morality contained therein and see how it develops historically among the Hebrews. We can try with archaeology to pin down more accurately what parts are history and what parts aren't. What we can't do together, I suspect, is pass judgment on the whole thing itself. You don't even think it is "a whole thing". I would agree with all of those points of commonality. I think we might go further and hope that most reasonable people could at least see the Bible as a "whole thing" in the sense at least of being a "definitive scrap-book" that tells the story of a people with a peculiar hope. We (Catholics and atheists) might go further still and be willing to agree that, even setting all NT claims aside, the OT on its own reflects an evolving sense of what that hope is and what it means. It seems to me that Christians and atheists need only part ways when it comes to how the story ends. Similarly, natural explanations for the various miracles in Scripture must suppose that all early Christians were preternatural fools. Or perhaps this: We can all be fools when it comes to believing what we desperately want to be true. True. But that's sauce for the goose as well as the gander. Yes, that's why I put "all" in italics. Absolutely. It's like the YECs inventing the Water Canopy to explain where all the water in the Great Flood came from. Um,God created the Heavens and the Earth; He couldn't have added an extra dash of water if He wanted to? Of course, Mark Shea must therefore assume everybody who was not a Christian and who testified to miracles at that time- and there were a lot of them- were preternatural fools. No one should have a problem reading the Christian Bible ("Old Testament" and New Testament) as a unified whole. The early Christians were Jews who saw a continuity between their past (as Jews) and their present (as followers of Jesus, believed by them to be the Jewish Messiah). They maintained their connection to Hebrew Scripture, and saw themselves continuing in the same tradition. They saw Jesus as a new Adam and a new Moses. I have a book I mention frequently—so frequently I should read it some day!—titled New Testament Development of Old Testament Themes. No one can doubt there are themes from the Old Testament that are picked up and elaborated in the New Testament. It makes perfect sense if you find the New Testament of interest to look back to the Old Testament for those themes and for other background. What an atheist can't do, and a skeptic like myself is extremely wary of doing, is claiming that the Old Testament is filled with identifiable references, of a miraculous nature, to New Testament events that are predictions or prophecies. We even see cases of "prophecies" being "fulfilled" in which the New Testament events are based on misreadings of the Old Testament (most famously that a virgin will bear a child, when the Old Testament did not actually say "virgin"). If there is an Old Testament "prophecy" that would actually strike a reasonable non-Christian as in any way a remarkable anticipation of the future, I cannot think of it. The fact that the Old Testament is "all about Jesus" cannot be demonstrated by citing the text. It is for those Christians who believe it a matter of faith. Do y'all think that statement is literally true? You believe the text of the Hebrew Bible is so different from its true intended meaning that it is impossible to discover that meaning in the text, and that the Holy Spirit must put that meaning in your mind? How is that different from being just a complicated way of saying that you don't believe the Bible? This +1000. Why pretend the bible is the source of truth at all, and not just flat out say that the Church is in touch with the holy spirit, and will tell you what's what? Probably safest not to provide the bible to anyone outside the church, as they will just draw wrong conclusions by reading it. Well, that was pretty well what they did as long as they could- or at least made sure somebody had to study Latin first before they could read the Bible (on pain of death). But , yeah, what I'm getting from this series is "The Church says it, I believe it, and that settles it". What exactly makes a church teaching legitamate? How many Catholics must believe something for it to be acceptable? The Catholic clerical establishment has become so loathed and distrusted, that many are not inclined to follow any exhortation they make. Maybe there are a whole range of beliefs on any given area of morality that are acceptable. Precepts followed by the majority of Catholics would indicate this. I wonder if developing similar ideas in a more neutral context would make this more accessible. To take a familiar example, what does one make of Seamus Heaney's use of allegory in "Digging" (http://www.poetryfoundation.org/poem/177017). I think it is reasonable to assume that it was literally true that his father and his grandfather were turf cutters. Is it fair to say that their struggle to unearth essential things objectively "foreshadowed" the "digging" that Seamus himself would one day do with his pen? It seems entirely fair to me. This is not just some abstract mental game that Seamus played: the reality of his father's and grandfather's lives objectively shaped the vocation that Seamus would find in his own life. The allegory wasn't just in his head. It was "out there". It was real. One question on my mind is who in the world does allegorical interpretation of scripture in this day and age, and who today pays significant attention to Patristic exegesis when wanting to know the meaning (including spiritual or religious meaning) of passages of scripture? martyrs, never thought to question that? 1) We know that the apostles and others were martyred on account of their claims about Jesus. 2) No one is a martyr for a claim they know to be false. Therefore, we know that the apostles and others were martyrs on account of their claims about Jesus, and they did not know those claims to be false. So they must have thought those claims about Jesus were true. Bob Seidensticker, who has commented here on SN, has a handy response to that figment of apologist imagination: http://www.patheos.com/blogs/crossexamined/2012/08/who-would-die-for-a-lie/ Both premise 1 and premise 2 are false. The conclusion does not follow. Here's a summary of the main ideas; see Bob's post for details. First, just as we have no reliable evidence on which to base belief in a historical Jesus, likewise we have no reliable evidence on which to base belief in historical apostolic martyrdoms. Second, Bob's post also goes on to give examples of people who did knowingly die for claims they knew to be false. BTW, "Jesus never existed" actually covers a lot of quite different scenarios, most of which are distinct from mythicism. I think it's quite plausible that there was a man named Jesus in 1st century Palestine who said and did things similar to some of the things attributed to him. We don't need much evidence at all to make a claim that ordinary plausible -- though it appears we don't have even that much evidence. Miraculous and untestable religious claims, however, would require substantially better evidence, and we have none remotely that strong.